Christmas is only a few days away now, which means it’s time to start distributing your Christmas candies to neighbors, coworkers, friends and family. 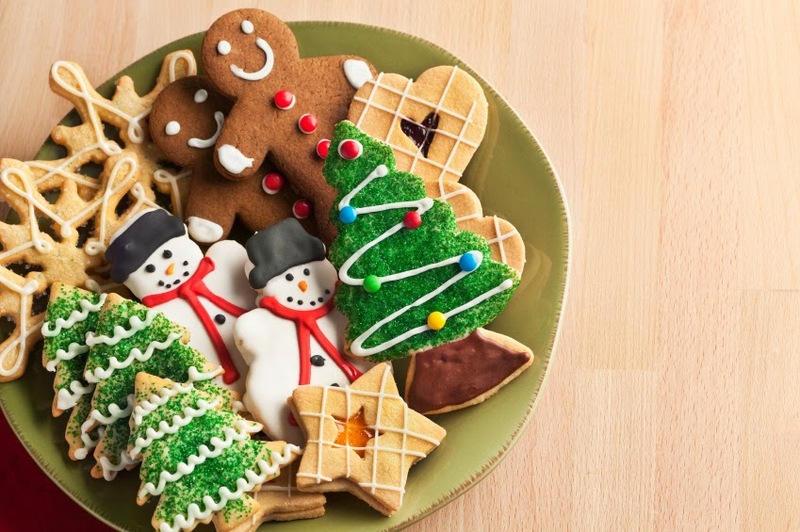 If you’re one of the many people who never got to making Christmas candies during this busy season, you might think you missed out on being able to give homemade gifts to friends, but we have a few last-minute Christmas candy ideas to keep you from having to make a run to the store. Give yourself an afternoon to make these delicious last-minute gifts, and your friends will love their treats. Martha Stewart’s Peanut Butter Swirl Bark — Four ingredients are all you need to make this delicious bark. If your recipients love peanut butter, they’re sure to enjoy this delightful and gorgeous bark. No-Bake Chocolate Peanut Butter Candy Bars — It’s entirely possible that you have all of the ingredients for these bars in your pantry right now. The delicious peanut butter and chocolate combination makes this treat a must-have! Triple Chocolate Covered Peanut Clusters — This recipe uses the slow cooker to make most of its cooking time hands off, which is perfect when you need to wrap gifts! Once the chocolate melts in the slow cooker, add the peanuts and drop by heaping tablespoons onto wax paper to cool. It’s that simple. Peanut Butter Pretzel Bites — Combining peanut butter, caramel and chocolate with salty pretzels might be the tastiest thing you could do this holiday season. This recipe makes about 100 pretzel bites, so plan accordingly! Cool Mint Patties — Making popular supermarket candies at home is the surest way to prove you have magical powers. You can keep it a secret that this recipe is a snap to make with only seven ingredients. Chocolate Mint Candy — For the mint lovers in your life, this chocolate mint candy has to be on your must-make list. This recipe yields about two pounds of candy, which might be the perfect amount for your Christmas snacking needs. Choc-Cherry Fudge — If you’re looking for an easy fudge recipe, this might be your winner. Maraschino cherries with their stems attached really make the presentation of this fudge something special. The best part? No need for a stove or oven! Salted Chocolate Pecan Toffee — This recipe doubles easily, so make a couple of pans of this delectable toffee, and you’ll be able to knock out all of your Christmas candy-making in one pass. With chocolate, pecans and a hint of saltiness, what could be better? Salted Caramel Charms — Salted caramel is a huge hit again this year, so be sure to take advantage of the sweet and salty craze with these gorgeous truffles. Only requiring four ingredients, you know this recipe can’t be too difficult! Gingerbread Cake Balls — What says “Christmas time!” more than gingerbread? These cake balls offer a new twist on an old favorite and are sure to impress anyone who receives them. Looking for more Christmas candy ideas? Check out our Pinterest board! Have a Christmas candy that you love to make every year? Let us know about it in the comments below.